Join thousands of entrepreneurs and business owners and receive small business tips straight to your inbox. Thank you for subscribing! Be sure to check your email for a confirmation. Keep up to date with all the new features, updates and bug fixes that are made to the Crunched application from week to week. Are you an industry expert interested in sharing your expertise through an original article with the Crunched community? Easily manage your bookkeeping, send invoices, collect payments & more. 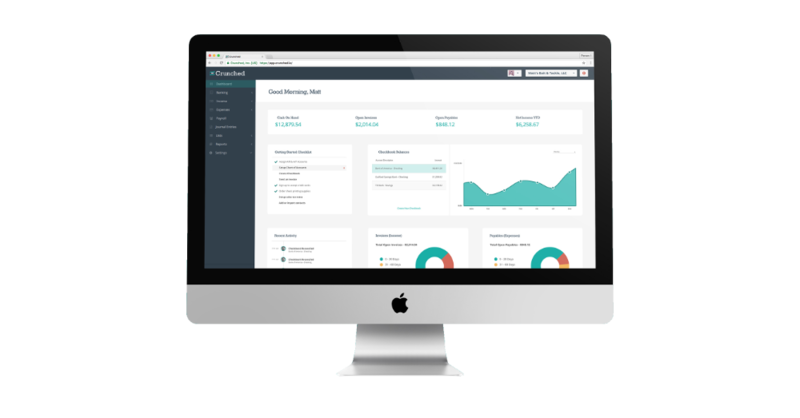 Crunched is a smart cloud accounting software designed for small business. Sign up today and start your 30 day free trial. No credit card required. Cancel anytime. Follow us online and stay up to date with new feature releases, company updates, and more. Subscribe to our newsletter and get awesome blog updates delivered straight to your inbox. Crunched, Inc. does not provide tax, legal or accounting advice. This material has been prepared for informational purposes only, and is not intended to provide, and should not be relied on for, tax, legal or accounting advice. You should consult your own tax, legal and accounting advisors before engaging in any transaction.